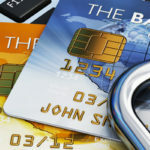 Getting out of payday loan debt takes financial focus. We won’t sugar-coat it; it’s hard work. For most, that means creating and sticking to a very strict budget, as well as setting spending and saving expectations/goals for yourself. It also means making the commitment to not spend money on things that aren’t necessities. Even when you’re working with a debt management or loan consolidation company, it still requires a lot of work and commitment. That work involves making difficult decisions about whether or not to make certain purchases. Easier said than done, we know. 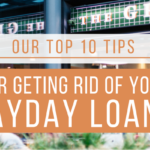 So, we’ve created a helpful list for you to refer to as you’re using a budget and trying to pay off payday loan debt. If you’re not sure where to start, start with this list. 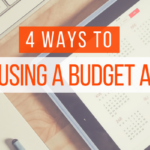 We’re sharing 4 purchases that you shouldn’t make when trying to get out of payday loan debt, as well as more affordable alternatives. Brand new, off-the-rack clothes are not a necessity. We know how hard it is to show up to a party without a new dress or walk through the mall without picking something up on your way out. However, new clothes aren’t are a necessary expense when you’re working to pay off your payday loans. We didn’t say “all” clothes; we’re just talking about new ones. Life happens. We get it. The kids outgrow their clothes and need more for the new school-year. Your winter coat rips, and you can’t go three months without replacing it. We get it. But there are alternatives to going to a department store and buying pricey new clothes right off the rack. Think outside of the department store box. You can find like-new clothes in great condition at thrift stores or consignment shops for a fraction of what you’d spend to buy them new. You can even find discounted, like-new options online at places like ThredUp and Poshmark. The other option for buying clothes that aren’t necessarily a necessity is to sell the clothes you do have to make money in order to purchase new ones. It’s not a novel idea. Consignment shops have been around for decades. You take your old clothes in, get money or store credit in exchange for them, and then you can replace the old ones without spending a penny. No, there’s nothing like sitting in one of those big, cozy movie theatre chairs with a $10 popcorn in your lap watching a movie on a screen that’s bigger than your house. But going to the movies is expensive. And there’s plenty of affordable (and free!) alternatives. Not to mention that going to the movie theatre is most certainly not a necessity. Getting out of payday loan debt doesn’t mean that you have to stop having fun and enjoying the things you love, though. So, if you’re a regular movie-theatre-goer, there’s a few ways to bring the movies to you, while spending a fraction of the price. For starters, pull out your DVD stash and re-watch your old favorites. Chances are, you have movies at home you’ve only seen once. Plan a movie-night-in to watch old reruns and classics that you already love. Or if you’re wanting something new, rent a movie from Redbox for less than $2, pop some popcorn at home, buy cheap candy at the grocery store, and kick back in the comfort of your pajamas. Getting dressed to go to the movie theatre may be overrated. Very cool? Yes. Necessity? No. We get it. We’ve seen the lines of people waiting to pick up the latest iPhone, and we know how tempting those TV sales can be. But they can wait! Your old tech may not be the latest or the greatest. It may be slow. It may cause you a lot of frustration. Your TV may not be the latest in high-def, but spending money to upgrade your tech (think cell phone, TV, fitbit, stereo, etc.) is not a necessity. If you’re committed to getting out of payday loan debt, this should be one category that is missing from your budget. It can wait. If you’re dealing with a broken phone or computer that has to be fixed, repair it inexpensively for the time being, rather than replacing it with a much more expensive new version. Just remember – as soon as you’re payday-loan-debt-free, you can spend the money on these things once again. We’re talking about anything that you didn’t pick up from the grocery that needs to be prepared at home. That includes your morning coffee shop stop, going through the drive-thru at lunch, or meeting friends for dinner on Friday night. Eating out is expensive. You can spend a fraction of what you’d spend eating out by preparing a similar meal at home. Thanks to Pinterest, you can even recreate many of your favorite restaurant meals from the comfort of your own kitchen (and for a fraction of the price). Just do a quick search for your favorite restaurant meal + “copycat recipe” online. Or check out this list of 50 of the best copycat recipes. Get creative. Plan date nights at home. Buy a bottle of wine at the store for less than the price of a glass of wine at a restaurant. If you’re used to eating out because you’re busy and don’t have a lot of extra time, try prepping your meals ahead of time so you don’t fall back into the habit of eating out or picking up food on your way home. We work with people everyday who are trying to get out of payday loan debt. 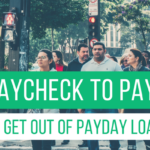 An important part of our process is helping them establish a budget, based on their specific income, that will enable them to settle all of their payday loans. So, we believe creating a plan for your money and sticking to it is an important part of the process. Get clear on your goals. Remind yourself why you’re not spending money on things that aren’t necessities. And if you’re overwhelmed with payday loan debt, consider giving our team a call to find out how we can help with payday loan consolidation.